In a quest to find his true life passion, will Kevin continue majoring in the minor things, or embrace a critical shift in priorities? 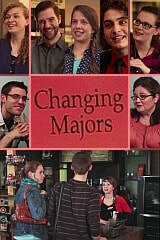 Changing Majors is a short film I directed for a 1-week intensive Film Acting program I taught at the 2015 MasterWorks Festival. Special thanks to the faculty of MasterWorks Festival for their support!